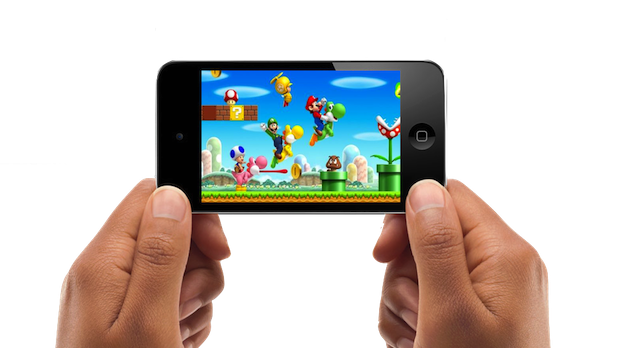 Why Shouldn't Mario Play with Apple or Android? The benefits for both Nintendo and the respective platforms appear obvious. Nintendo would make bookoo bucks on app purchases, and any Nintendo series, would add the legitimacy that the mobile app scene lacks. Let’s face it, as I’ve said before, smartphones are killing mobile gaming. The games are just not very fun or engaging. Unfortunately, it doesn’t look like Nintendo is going to have a legitimate shot at selling the necessary amount of units to churn out software purchases. If you can’t beat, ’em, join ’em, or at least put your app in their marketplace. The beauty of this is that you wouldn’t even have to make a new game. The classic stable of Nintendo games has such cache, such nostalgia standing behind it that it would sell well even priced at a more premium standard. Furthermore, the classic suite of games would suit the touch screen quite well. While many games try to do too much with their control schemes, the simplicity of Nintendo platformers and RPGs would meld quite well with the current technology. Nintendo needs to realize that hardware is a losing game, and that the direction of gimmicks that they’ve taken with the Wii and the announced but-not-soon-to-be-released Wii U Is not a step in the right direction. The design has come off more gimmicky than novel, and the company needs to think long and hard about their business model. “This is absolutely not under consideration”. Not at the current moment, anyway. Let’s see what Mr. Iwata has to say after the Wii U has flopped flat on its face and investors are whetting their katanas. I would like to believe that the reason Mr. Iwata does not want to sell games through Apple is because he believes the 30% cut apple would take from purchases of those classic games would be too much. I would be keen to agree. 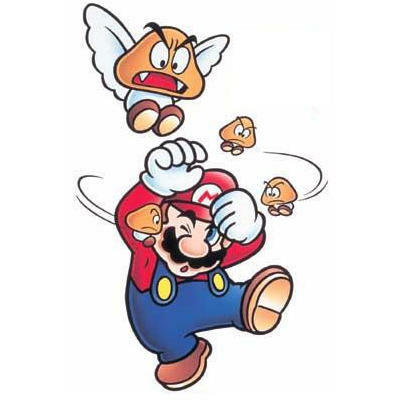 However, if going strictly by what was said to Nikkei, Iwata believes in the Nintendo business model, andtrusts that it will once again buoy the company out of trouble. This is the crux of the problem. The model has changed. The mainstay of the portable gaming device is going to the wayside, and Nintendo is risking arrogance by believing that the current market trend does not apply to them. The future is cloudy, and decisions need to be made. It is one thing when a company realizes that it is off track and wildly spins its wheels to find traction. It is a completely different situation when that company refuses to acknowledge that it is stuck in the mud, and sliding backward.